The news reports, the headlines, and the numbers are head-shaking. It has to be difficult to listen to the police radios calling due to emergencies all over the city. The reporters are tasked with getting names, ages, locations and getting interviews and responses from law enforcement. Merely reading the article from the Chicago Tribune from a very bloody weekend in Chicago was hard to finish. Getting crime statistics from the Windy City is one thing, believing them is another. Is crime just part of Chicago’s DNA, a permanent condition given those like Dillinger, Capone or Durkin? From the earliest days of the Bureau, it was clear that agents were permanently needed in two cities — New York and Chicago. By July 21, 1908, several days before the FBI’s official birthday, the Department of Justice had assigned four special agents to Chicago. The FBI Chicago Field Office grew larger. On August 27, 1964, the Chicago Division moved into new space located in the just-completed E.M. Dirksen Federal Building and Courthouse. Located at 219 South Dearborn Street in Chicago’s “Loop,” the Chicago FBI occupied the entire ninth floor of the building. Marlin W. Johnson was the special agent in charge, and the office included 281 special agents and 185 support employees. The Dirksen building remained the home of the division for the next 42 years. During that time, the office expanded to occupy the entire eighth and 10th floors and part of the 11th floor. In October 1969, violent members of a radical group known as the Students for a Democratic Society (SDS) bombed a Chicago police memorial and fomented the “Days of Rage” riot in Chicago. An offshoot of SDS called the Weathermen—later the Weather Underground Organization—which evolved into a domestic terrorist group that used bombings, robberies, arson, and other illegal acts to further its radical political agenda. Chicago agents, along with other field offices across the country, thoroughly investigated this organization and its activities. In 1974, the Chicago Division produced an extensive summary of the group’s motivations and activities. The FALN (Fuerzas Armadas de Liberación National/Armed Forces of National Liberation)—which advocated Puerto Rican Independence—was another 1970s terrorist group subject to intense investigation by the Chicago Division. In the early morning hours of October 27, 1975, bombs exploded outside three Chicago Loop office buildings, including the Sears Tower. A fourth device was found outside the Standard Oil building, but was disarmed before detonating. In the late 1970s, the division opened what ended up being the FBI’s longest-running domestic terrorism investigation. On May 28, 1978, a bomb exploded at the University of Illinois at Chicago, injuring one individual. In 1979, an FBI-led task force that included the Bureau of Alcohol, Tobacco, and Firearms and the U.S. Postal Inspection Service was formed to investigate the “UNABOM” case—code-named for the UNiversity and Airline BOMbing targets involved. Sixteen more bombings took place over the next 17 years, killing three and injuring more than 20 people. FBI Chicago, along with nearly all of the FBI’s 56 field offices, pursued this terrorist throughout the 1980s and into the 1990s. After an extensive investigation—and a tip from the bomber’s brother—the FBI arrested Theodore Kaczynski in April 1996. Kaczynski ultimately pled guilty and was sentenced to life in prison for his crimes. Operation Family Secrets—began in 1999 and culminated in 2005 with the indictment and arrest of 14 known or suspected members of a Chicago organized crime group for 18 unsolved mob hits. A Chicago policeman and Cook County sheriff’s deputy were also charged. The defendants all either pled guilty, were convicted in court, or died prior to trial. Read more detail here. So, now we have a sanctuary city where gangs and illegals own the streets. Mayor Rahm Emanuel either can’t get control of the city or refuses to do so. So, the people of Chicago are protesting, demanding he resign. While there is clearly political corruption in the Mayor’s office, racketeering is nothing new in Chicago. Remember Tony Rezko? He was a former fundraiser for Obama and a close friend. Then there was the mortgage scandal for the land slated to be part of the Olympic Park in 2009. Moving forward to 2018, there are shady operations going on with the Obama Presidential Library. But is there corruption within the ranks of Chicago law enforcement? It appears so. Just this past February, multiple members of a Chicago Police Department anti-gang unit have been stripped of their authority following a federal probe into allegations that they robbed drug dealers. In 2016, there were 762 homicides and more than 4,000 people wounded. Over 650 died in 2017. It has been described as an epidemic. 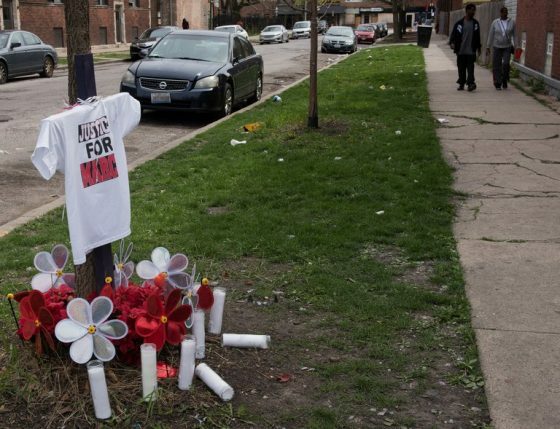 Primarily gang-related, the shootings are often spontaneous and unpredictable, and the toll on victims, families, and entire communities cannot be overstated. That’s why the FBI’s Chicago Division, working with the Chicago Police Department (CPD) and other agencies, has undertaken significant measures to address the problem. The tasks appear to be too daunting for the FBI in Chicago as they work with law enforcement officials. Stepping up community outreach efforts to gain the public’s trust and enlist their help in solving crimes and making communities safer.